It’s no secret: America’s baby boomers are aging, and one of the most common ailments in older populations is arthritis. According to the U.S. Center for Disease Control and Prevention (CDC), 53 million Americans have arthritis, with women making up 60 percent of the arthritis diagnoses. But what exactly is arthritis, and how can cannabis help it? “Arthritis” is an umbrella term used to describe 200 rheumatic diseases affecting the joints and their surrounding tissues. It causes inflammation and stiffness that develops abruptly or gradually around one or more joints. Although more common in seniors, arthritis can severely impair a person of any age, leaving him or her unable to work or perform daily duties. In the United States, arthritis is the most common cause of disability, and high levels of stress and depression are often associated. Genetics may cause arthritis, along with obesity, joint damage, infections, and occupations requiring repetitive bending or squatting. Dysfunction of the immune system and an abnormal metabolism can also lead to various forms of arthritis, though many rheumatoid diseases are caused by a combination of factors. Inflammatory arthritis — joints become inflamed for no apparent reason. Degenerative or mechanical arthritis — the body tries remodeling the bone to restore stability. Osteoarthritis is an example. Back pain — unspecified pain associated with muscles, discs, nerves, ligaments, bones, or joints in the back such as osteoporosis. Connective tissue disease — pain in tendons, ligaments, and cartilage characterized by inflammation of the skin, muscles, lungs, and kidneys. Infectious arthritis — inflammation in a joint caused by bacteria, viruses, or fungi (examples of causes include food poisoning, STDs, and Hepatitis C). Antibiotics can usually treat it. Metabolic arthritis — too much uric acid may form sharp crystals in a joint that cause sudden, excruciating pain. Gout is an example. Although they don’t heal joint inflammation, analgesics like Tylenol, Percocet, and Vicodin may be prescribed to reduce pain along with creams containing menthol or capsaicin. Over-the-counter non-steroidal anti-inflammatory drugs (NSAIDs) like Advil, Motrin, or Aleve may be taken to reduce pain and inflammation. Rheumatoid arthritis is treated with disease-modifying anti-rheumatic drugs (DMARDs) to prevent the immune system from attacking inflamed joints. Corticosteroids like prednisone and cortisone may also be prescribed to reduce inflammation and suppress the immune system. Exercise can ease pain and stress levels for people with arthritis, but nearly a quarter of adults diagnosed with arthritis report being physically inactive. 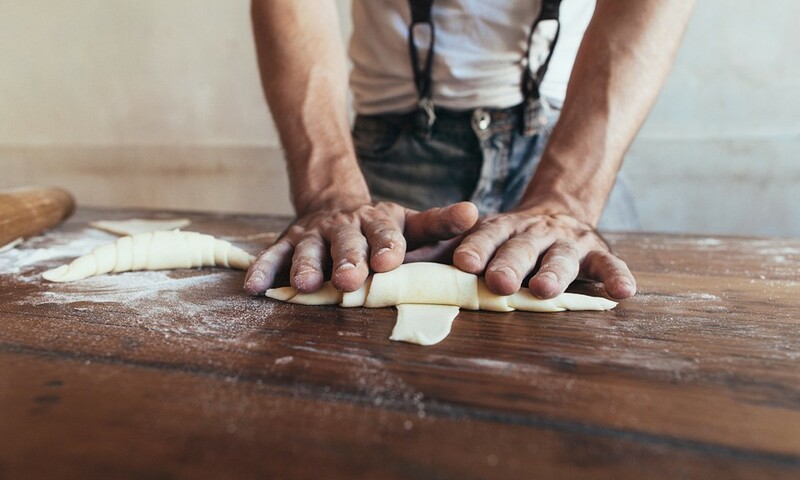 Dietary changes may manage arthritis, as meats and foods high in sugar can exacerbate inflammation. While cannabis is classified as a Schedule I drug by the federal government, meaning it’s considered highly addictive with no medical value and research on it is severely restricted — a scientific consensus has nevertheless emerged on its therapeutic value based on a growing body of successful preclinical and clinical trials. To the delight of many, those studies show that cannabis has anti-inflammatory effects that can help arthritis patients live happier, healthier lives. Consequently, cannabis is gaining popularity as a treatment for arthritis. Cannabis can ease pain and reduce swelling without the potentially life-threatening side effects caused by frequent NSAID or opiate use. In the summer of 2015, the Canadian Arthritis Society funded a three-year research grant to a Dalhousie University researcher to determine if marijuana can relieve pain or repair arthritic joints. Pain-detecting nerves are filled with cannabinoid receptors, and according to researcher Jason McDougall, cannabinoids control the firing of pain signals from the joint to the brain by sticking themselves to nerve receptors. Another controlled study, conducted by the Royal National Hospital for Rheumatic Disease in the UK, showed that cannabinoids provided statistically significant improvements in pain on movement, pain at rest, and quality of sleep. 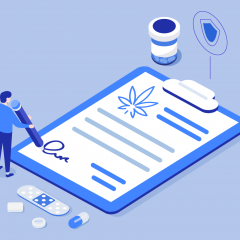 In addition to increasing numbers of professionals within the medical industry recognizing the therapeutic value of cannabis, the public has also become more receptive to medical marijuana treatment. In January 2014, CBS News conducted a national poll finding that 86 percent of Americans believe doctors should be permitted to prescribe cannabis to patients who suffer from serious illnesses such as arthritis. As far back as 2004, the American Association of Retired Persons (AARP), which boasts 35 million members, published a national poll revealing that 72 percent of seniors support allowing the use of doctor-recommended cannabis to treat patients. Do you use medical marijuana to help manage your arthritis symptoms? 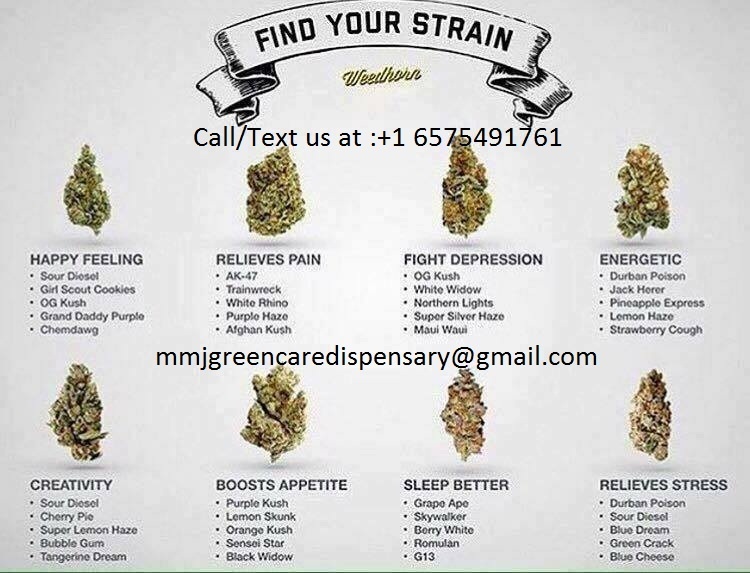 If so, which strains have you found help best? Share your recommendations in the comments! Ex infantry and longtime hands on onsite superintendent on RES/COMM building. Serious issues with osteoarthritis at age 50. Wife transferred from CO to FLA. In CO would take 1-2 Vicodin a day, usually wake up and after work. I also used cape pens throughout my work day. 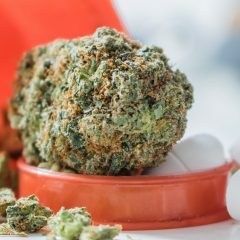 I always liked sour diesel or mister nice (G13-Hashplant) both were excellent for elliviating pain as well as helping stimulate focus and no energy loss. Now in Fla where the VA only treats chronic pain with pain group therapy, how to sit straight, walk correctly etc. Dumbass Civilians created this program without realizing that this is basic training and boot camp early days training and reinforced with formations and PT everyday. Oye! Point being I have seen myself go from weed and 2 Vicodin to no weed and 4 -5 vic a day. Pain killers that I have to pry out of a doctor who looks at me with suspicion because only rich desk sitting people have real pain. The rest of us blue collar physically hard working stiffs are drug addicts and drunks. WTF, can mr soft hands go out and build a structure by hand using vibrating tools all day in the heat or cold while bending and squatting to pick up heavy cumbersome objects. Probably be on a stretcher with heat stroke after 30 mins of leaning against a shovel complianing. I am concerned as the Vicodin really does not work by itself but you find your self grabbing for it because it does give immediate relief for about an hour. That’s the addictive part, even though it does not really help I have an urge to grab one. Thanks Pam Bondi and all you rich folk that make money off making the rest of us criminals. Well stated! Should be shared with medical community. the medical community knows and cant do anything want FDA disbanded. I feel your pain, Airborne infantry here 23 yrs on opiates then anti depressants and that’s when I aid enuff! In Montana medical cannabis and I can grow! You are also aware that it is time for the annual purge of opiates that the govt does every 10 or so years, so expect them to make you jump through more hoops for the pills! I would suggest getting very active and urge your Senators and Congressmen to get with the program and legalize medical at the very least! If not for cannabis I would have put a gun in my mouth last year! Pain pills and anti depressants scourge of our times! I suffer from severe osteoarthritis, restless arms & legs, sleep issues & depression. I take 4 hydrocodone for pain, 3 baclofen for spasms in my arms & legs, 3 different antidepressants (10 pills total) per day. For just those three ailments I take a total of 17 pills each day, but with only minimal effect. I’ve thought about & my husband suggested looking into medicinal cannibus. The information of information I’ve read and other people’s comments have me looking into it as an alternative to all the pills I take. Thank you to all who wrote the articles, the medical professionals, all who suffer with pain & especially the individuals who participated in the medical trials about cannibus for treating pain. You have opened my eyes & brought hope to someone feeling pretty hopeless. 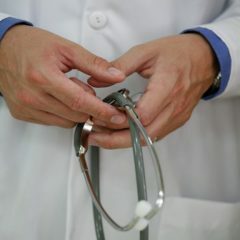 You can checkout ANNCANNAMED.COM for more infor and medical purchase. Their Cbd Rich oil has literally changed my life. I was able to abandon some strong opiates, and my health is doing just fine. try using topicals…Cannabis infused salve works GREAT! I make it myself, easy recipes on Pintrest. Former Rn and current arthritis sufferer, I use daily w. excellent results. It does seem to have a cumulative effect, the longer you use it the better it works. Only 6% absorbs systemically,(most locally right to the sore spot) and you will never fail a drug test. I’ve had great luck with medicinal cannabis so far. For multiple pain issues inc. osteoarthritis, fibromyalgia, chronic back pain & a previous low back surgery, 2 knee replacements (arthritis), plantar fasciitis, migraines & on & on. I’m also fighting severe major depression, anxiety, insomnia & PTSD. I started using cannabis products about 2-3 months ago & have noticed an increase in energy & a decrease in pain, insomnia & depression. In fact, I’ve been getting electroconvulsive therapy every 2 weeks for years & since starting cannabis have been able to decrease treatments to 3-4 weeks which is a minor miracle. I feel like getting out more, seeing people more & just doing more things in general which I attribute to less pain, less depression symptoms, and improved sleep. I have not tried stopping any medicine yet–I think it’s too soon, but wouldn’t that be great in the future! Oh, I did voluntarily stop taking Celebrex several months ago though which increased my pain (now decreased due to cannabis). I started worrying about long term effects on my kidneys which NSAIDS (like ibuprofen) are well known for. I’ve been using Leafly to help me figure out what strains to use & what forms. It’s been an invaluable resource. Thank you! WHAT strain of Cannabis are you using for Arthritis. IS it high in CBD or THC? Why did you get off the cbd’s? I found that 5 – 8 dried tart cherries per day rid me of my need for Vicodin and Ibuprofen completely. I had pain levels of 7 – 8 every day all day long with 30 mG Vicodin and 2,400 mG of Ibuprofen. I learned about cherries from Preventive Medicine and have never looked back. My pain levels now max at 3 with none of their drugs. This healing was noticeable within the very first 24 hours and it just got better by huge leaps. Before, it hurt to walk; now I can RUN HARD again. Before I could barely negotiate stairs; now I take them two-at-a-time as though I were twenty again. Some strains of Cannabis did help (White Widow, Master Cush), but nothing came nearly to what the cherries have done. Now, on the health issue, I mainly use Cannabis to help regulate and improve my immune system and it’s doing a wonderful job at that! I also eat about a Tbs. of Hemp Seeds every day for the immune system but that’s another story. Oh wow! I’m going to give that a try! It would be nice chocolate covered! Since I’m eating cleaner I have found that I don’t need the hemp extract as much as before, things have improved greatly. Add 400 ML orange juice and only 6 days at a row some appropriate medicated vaping sessions. For a strain i am the one to enjoy mixing as much as possible and a quick pain relieve comes with a strain that as has CBD:THC in ratio 1:1. The problem with the results are due to the fact they used Sativex (a synthetic cannabinoid) instead of the full entourage effect that is obtained via FECO (Full Extract Cannabis Oil) therapy. I’m 41 years old and have suffered from Rheumatoid since the age of 14. Currently I take a Simponi (biologic) shot once a month and methotrexate weekly, yet still have moderate pain. The most helpful strains I found are Pennywise and Cannatonic. Do you still have to stay on your Biologic meds? Or have you been able to come off all? My rheumatoid Dr. Says once I take medical marijuana I won’t be able to see him anymore. Tennis elbow is not arthritis – is an inflammation of a tendon – lateral epicondylitis. The problems that arose in you wrist and elbow from typing are movement disorders – think carpal tunnel syndrome. I have the same elbow problem and it can be awfully hard to kill that pain even with high doses of opiates. Make sure you look up and use proper typing posture. However the shoulder sounds like osteoarthritis. To be honest MJ is not going to be very useful in cases of extreme pain but is a great one to use for mild to moderate pain. In pain control the current approach is referred to as Multimodal Pain Management which uses multiple types of meds, physical therapy and perhaps even a TENS device. The idea is to keep the amount of opiates used as small as possible. It takes a bit of trial and error but it works very good for me and MJ is in my mix. Autoimmune is multifactorial and hemp cannabinoids is one of the tools I use for pain and inflammation. You must also address the root cause of the inflammation however to ultimately heal your disease. I have put my Fibro in remission utilizing cannabis, my Marc Pro device and organic diet. Good idea. Pain like he is having in his elbow always in accompanied by inflammation and that only makes matters worse. Makes sense to address the inflammation. I’m 70, and have both arthritis and a degenerative neurological disorder that have left me partially disabled and in chronic pain. Marijuana has saved my sanity! But because we live in a state with a 100% ban on cannabis, we’re lucky to get indica seeds, never mind specific strains for pain. The two biggest industries fighting cannabis legalization are private prisons and Big Pharma. Both will lose literally billions in profits from legalization, and both have lawmakers in their pockets, thanks to major campaign donations around election time. Facet Syndrome (Bone Spurs growing into nerve bundle C-3 thru C-5) — 8 years Opiates (Oxy, Morphine and Fetanyl) and tired of it, I haven’t tried pot yet so any recommendations? I have Inflammatory arthritis and Osteoarthritis. I use to take pain killers all the time. They really didn’t take the pain away but they were better than nothing. I use to also take NSAID until I started having blood in my urine. I did some research and found that Cannabis with high CBD worked for a lot of people so I tried it. I bought a vape pen and Pure CO2 Oil. Sativa Harlequin CBD 64.61% and THC 2.04%. The first week I started vaping it I would vape it off and on during the day and it was really helping. By the 2nd week all my Arthritis pain was gone. I now take a few vapes in the morning and I am good to go all day long without the need to vape more. I no longer take pain medication and if I ever do feel a little pain I just take one hit from the vape pen.. This has been God sent! I needed to here this thank u so much..I was just told I have arthritis on my hip😡do I need a medical card? You can buy just CBD at most health food stores or online but it contains no THC. I buy a CBD vape oil from a Cannabis store and it does have THC in it so you do need to be of age to buy but you don’t need a medical card. 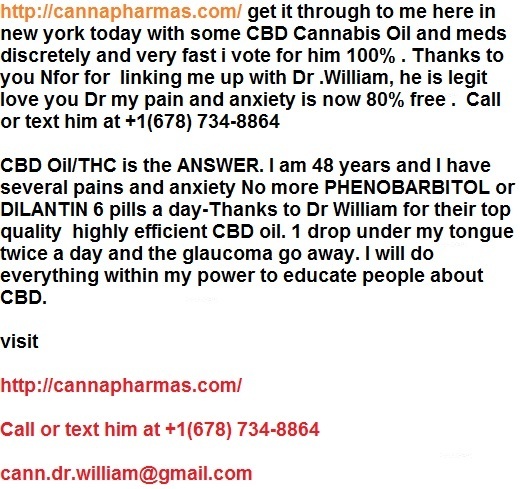 If you go to YouTube you can do research on it and check CBD reviews and a lot of times they will recommend a brand. The one I get is by Who? and it is Pure CO2 oil. THC 2.4 % and CBD 64.61% and it is called Harlequin. I know mine works GREAT! But from what I understand the ones without THC works also. I hope this helps..
You can get the oil at most marijuana dispensaries. If you are in a state that does not sell it you can instead take Black seed oil. The Black seed oil works also but it takes about a month for it to kick in. They both work very well for me. As far as cost the black seed oil costs less per month. I do not take both at the same time it’s either one or the other. Are you vAping Harlequin? Looking for some infor for a friend with swelling of joints as well as pain. Yes I am vaping Harlequin by Who? But it is hard to find it in stock at the cannabis store because so many people are vaping it for pain and arthritis. If I can’t find it stock I will get any of these Critical Cure,Topical Trainwreck or something that has a very high % of CBD at least 50% or at least a 1 to 1 ratio. I try to find the ones the have a higher % CBD than THC. I hope this helps. Thanks for uour reply.im not entirely sure what i need but i want to know whether this form of medication can stop my disease from making my hands become deformed not just for the pain relief as im not satisfied with taking sulfasalazine as ive already had muscle problems at the back of my head. If you could gelp with that i would be truly appreciative thank you. My mother who has nerve/arthiritis pain daily is about to start taking CBD oil. Normally, she takes tylenol arthritis every 6 hours. Does she stop the tylenol immediately? Can she take tylenol while she is on CBD? She is starting the oil very low dose and increasing it weekly as suggested. Any information is much appreciated. Thank you. Im not supposed to give medical advice since Im not a doctor. I’d try to take less pills and more natural products though. I just bought CBD tincture TruBlu from Blue Moon Hemp. I have osteoarthritis, a herniated disc, degenerative disc disease, plus insomnia, complex PTSD, attachment disorder, major depressive and anxiety disorder. I put 2 drops under my tongue in the morning. With my pain, etc issues, what would be the suggested amount to use? Yeah we have some that work. I have 2 fingers (index and middle fingers) that ache and are a bit swollen at the joints. Some days I have very throbbing pain in my middle finger. Usually this occurs during a change in weather. I also have a very itchy scalp. It isn’t dandruff. I was told that it is related to my auto immune disease, hypothyroidism. Can I get relief from topical cannabis oil? I live in CA and was wondering where I can buy it. Thanks! Thanks! I will give it a try! Currently, I use Green Crack for my inflammatory condition. For several years (I am 64) I have used cannabis for pain and depression. It wasn’t until this year, after growing my first crop and then trimming it, and vaping, all day long every day for weeks, that I learned I can actually prevent pain from occurring. I found that if I vape (I vape exclusively; smoke, and I cough for a week) two or three times during the day the pain never comes on at all, whereas before I waited for the pain to set in and then addressed it, typically in the evening. I enjoy the GC high. It allows me to function well while medicated and also keeps pain and depression at bay. Wish someone had told me about up-ing my intake long ago! I am blessed to live in Oregon. I have Psoriatic Arthitis and the treatment includes low dose chemo drugs once a week. I started using cannabis to offset the side effects of the chemo. After doing my own online research I started treating myself. Now I grow my own and the results are tremendous. I like sativa during the day and indices at night to help sleep. I am moving away from smoking and make my own edibles. The problems with buying commercially are many. Pesticide use is probably the worse. Also many strains are high in THC but low in CBD’s (which contain many good properties, like anti-inflammatiin). There is a lot if promise for cannabis as medicine. The first step is to get it removed as a Schedule 1 drug. Write your cingressman! God’s gift…love to know what other strains are out there? Sports injuries and car accidents have meant years of chronic pain, chiropractors, acupuncturists, and physical therapy, which have all not helped. But only CANNAPHARMAS 50/50 Oil provides total pain relief and restores complete range of motion.